So, lets travel from Macedonia to central Greece, the Cyclades, the Ionian islands, Crete, the Dodecanese and the islands of Northeastern Aegean and cheer for the holidays! 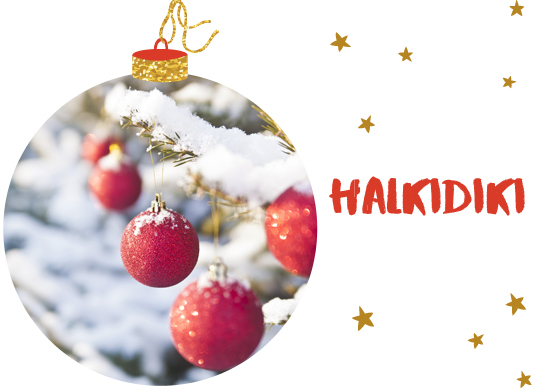 On the first day of Xmas, my family will cheer with a tall fir green Christmas tree from Halkidiki. 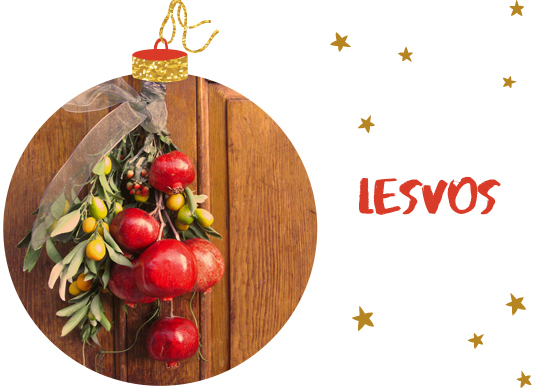 On the second day of Xmas, my family will cheer with two pomegranates from Lesvos. 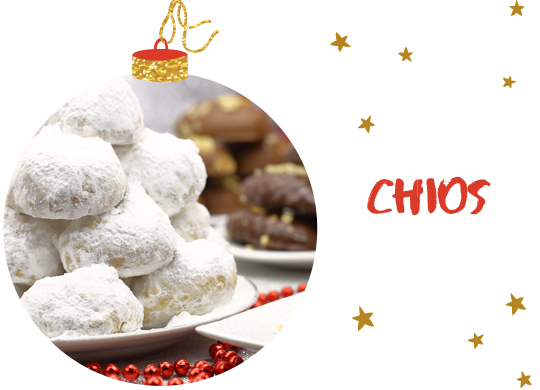 On the third day of Xmas, my family will cheer with three kourampiedes from Chios. 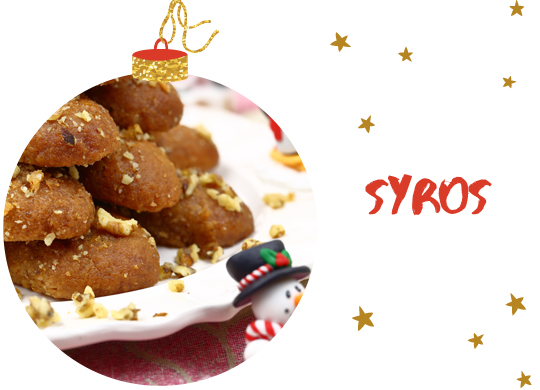 On the fourth day of Xmas, my family will cheer with four melomakarona from Syros. 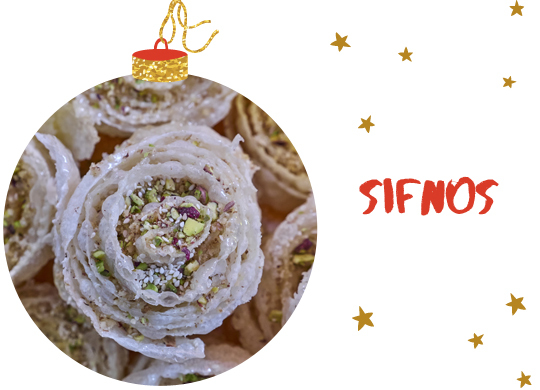 On the fifth day of Xmas, my family will cheer with five golden diples from Sifnos. 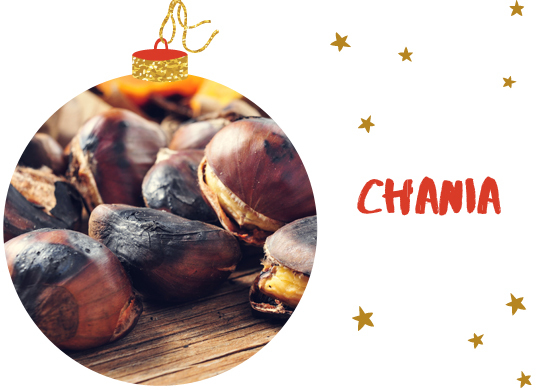 On the sixth day of Xmas, my family will cheer with six sizzling chestnuts from Chania. 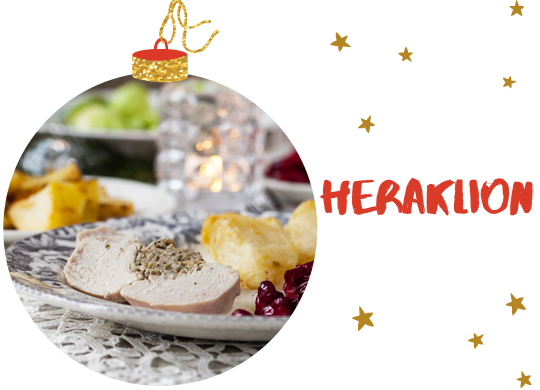 On the seventh day of Xmas, my family will cheer with seven turkey slices from Heraklion. 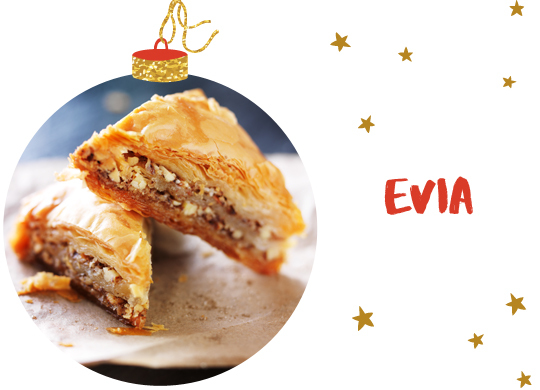 On the eighth day of Xmas, my family will cheer with eight baklavadakia from Evia. 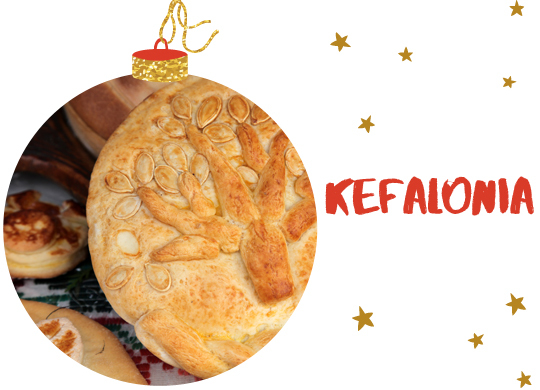 On the ninth day of Xmas, my family will cheer with nine Christ-bread bites from Kefalonia. 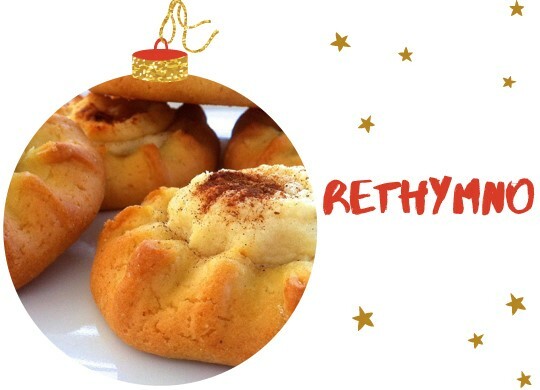 On the tenth day of Xmas, my family will cheer with ten kalitsounakia from Rethymno. 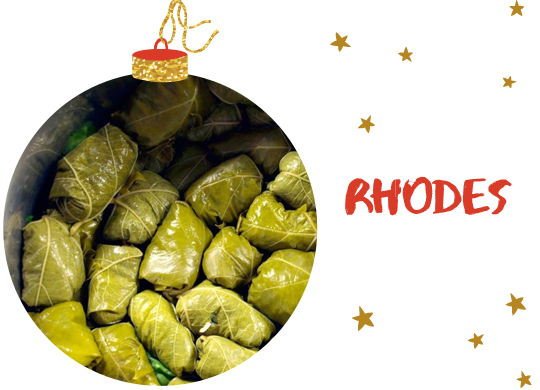 On the eleventh day of Xmas, my family will cheer with eleven stuffed giaprakia from Rhodes. 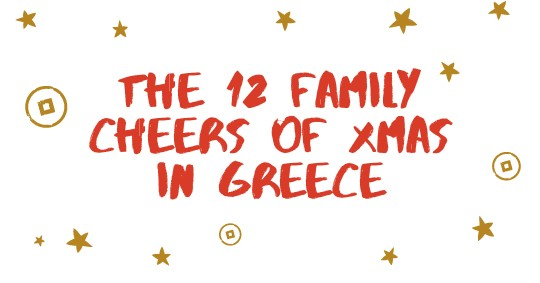 On the twelfth day of Xmas, my family will cheer with twelve vasilopitakia from Tinos. This is how we cheer in Greece! If you wish to join us like us on Facebook and learn additional facts about the Greek holidays. 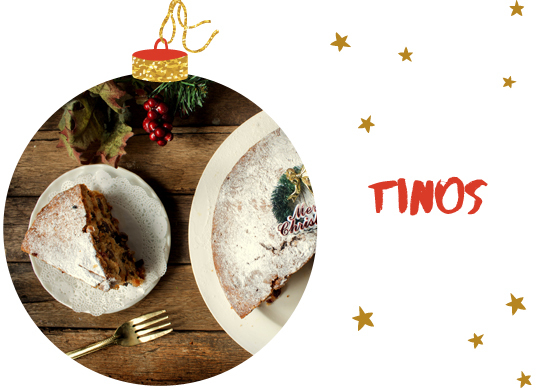 Follow, share and spread some Christmas cheer! This entry was posted in Chios, Crete, Cyclades Islands, Cycladia Posts, Destinations, Dodecanese, Evia, Gastronomy, Halkidiki, Ionian Islands, Kefalonia, Lesvos, Northeastern Aegean, Rhodes Island, Tourism Insight. Bookmark the permalink.